This article is about the Italian automobile manufacturer. For its parent companies, see FCA Italy, Fiat Chrysler Automobiles, and (formerly) Fiat S.p.A.
"Fiat" redirects here. For other uses, see Fiat (disambiguation). Fiat Automobiles S.p.A. (UK: /ˈfiːət, -æt/, US: /-ɑːt/; originally FIAT, Italian: Fabbrica Italiana Automobili Torino, lit. 'Italian Automobiles Factory, Turin') is an Italian automobile manufacturer, a subsidiary of FCA Italy S.p.A., which is part of Fiat Chrysler Automobiles (previously Fiat S.p.A.). Fiat Automobiles was formed in January 2007 when Fiat reorganized its automobile business, and traces its history back to 1899 when the first Fiat automobile, the Fiat 4 HP, was produced. Fiat Automobiles is the largest automobile manufacturer in Italy. During its more than century-long history, it remained the largest automobile manufacturer in Europe and the third in the world after General Motors and Ford for over twenty years, until the car industry crisis in the late 1980s. In 2013, Fiat S.p.A. was the second largest European automaker by volumes produced and the seventh in the world, while currently FCA is the world's eighth largest auto maker. In 1970, Fiat Automobiles employed more than 100,000 in Italy when its production reached the highest number, 1.4 million cars, in that country. As of 2002, it built more than 1 million vehicles at six plants in Italy and the country accounted for more than a third of the company's revenue. Fiat has also manufactured railway engines, military vehicles, farm tractors, aircraft, and weapons such as the Fiat–Revelli Modello 1914. Fiat-brand cars are built in several locations around the world. Outside Italy, the largest country of production is Brazil, where the Fiat brand is the market leader. 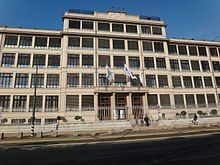 The group also has factories in Argentina, Poland and Mexico (where Fiat-brand vehicles are manufactured at plants owned and operated by FCA US for export to the United States, Brazil, Italy and other markets) and a long history of licensing manufacture of its products in other countries. Fiat Automobiles has received many international awards for its vehicles, including nine European Car of the Year awards, the most of any other manufacturer, and it ranked many times as the lowest level of CO2 emissions by vehicles sold in Europe. On 11 July 1899, Giovanni Agnelli was part of the group of founding members of FIAT, Fabbrica Italiana di Automobili Torino. The first Fiat plant opened in 1900 with 35 staff making 24 cars. 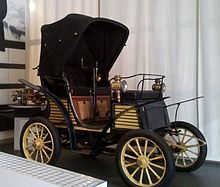 Known from the beginning for the talent and creativity of its engineering staff, by 1903 Fiat made a small profit and produced 135 cars; this grew to 1,149 cars by 1906. The company then went public selling shares via the Milan stock exchange. Agnelli led the company until his death in 1945, while Vittorio Valletta administered the firm's daily activities. Its first car, the 3 ½ CV (of which only 24 copies were built, all bodied by Alessio of Turin) strongly resembled contemporary Benz, and had a 697 cc (42.5 cu in) boxer twin engine. In 1903, Fiat produced its first truck. In 1908, the first Fiat was exported to the US. That same year, the first Fiat aircraft engine was produced. Also around the same time, Fiat taxis became popular in Europe. By 1910, Fiat was the largest automotive company in Italy. That same year, a new plant was built in Poughkeepsie, NY, by the newly founded American F.I.A.T. Automobile Company. Owning a Fiat at that time was a sign of distinction. The cost of a Fiat in the US was initially $4,000 and rose up to $6,400 in 1918, compared to $825 for a Ford Model T in 1908, and $525 in 1918, respectively. During World War I, Fiat had to devote all of its factories to supplying the Allies with aircraft, engines, machine guns, trucks, and ambulances. Upon the entry of the US into the war in 1917, the factory was shut down as US regulations became too burdensome. After the war, Fiat introduced its first tractor, the 702. By the early 1920s, Fiat had a market share in Italy of 80%. In 1921, workers seized Fiat's plants and hoisted the red flag of communism over them. Agnelli responded by quitting the company. However, the Italian Socialist Party and its ally organization, the Italian General Confederation of Labour, in an effort to effect a compromise with the centrist parties ordered the occupation ended. In 1922, Fiat began to build the famous Lingotto car factory—then the largest in Europe—which opened in 1923. It was the first Fiat factory to use assembly lines; by 1925, Fiat controlled 87% of the Italian car market. In 1928, with the 509, Fiat included insurance in the purchase price. Fiat made military machinery and vehicles during World War II for the Army and Regia Aeronautica and later for the Germans. Fiat made obsolete fighter aircraft like the biplane CR.42, which was one of the most common Italian aircraft, along with Savoia-Marchettis, as well as light tanks (obsolete compared to their German and Soviet counterparts) and armoured vehicles. The best Fiat aircraft was the G.55 fighter, which arrived too late and in too limited numbers. In 1945, the year Benito Mussolini was overthrown, the National Liberation Committee removed the Agnelli family from leadership roles in Fiat because of its ties to Mussolini's government. They were not returned until 1963, when Giovanni's grandson, Gianni, took over as general manager until 1966, as chairman until 1996. In 1970, Fiat employed more than 100,000 in Italy when its production reached the highest number, 1.4 million cars, in that country. As of 2002, Fiat built more than 1 million vehicles at six plants in Italy and the country accounted for more than a third of the company's revenue. Towards the end of 1976 it was announced that the Libyan government was to take a shareholding in the company in return for a capital injection Other aspects of the Libyan agreement included the construction of a truck and bus plant at Tripoli. Chairman Agnelli candidly described the deal as "a classic petro-money recycling operation which will strengthen the Italian reserves, provide Fiat with fresh capital and give the group greater tranquility in which to carry out its investment programmes". On 29 January 2014, it was announced that Fiat S.p.A. (the former owner of Fiat Group) was to be merged into a new Netherlands-based holding company Fiat Chrysler Automobiles NV (FCA), took place before the end of 2014. Fiat Chrysler Automobiles became the new owner of Fiat Group. On 1 August 2014, Fiat S.p.A. received necessary shareholder approval to proceed with the merger, which became effective 12 October 2014. Fiat's main market is Europe, mainly focused in Italy. Historically successful in citycars and supermini sector, currently Fiat has a range of models focused on those two segments (in 2011, those accounted for the 84% of its sales). Fiat does not currently offer any large family car, nor an executive car - these market segments have, to some extent been covered by the Lancia and Alfa Romeo brands, which Fiat also owns. Fiat's share of the European market shrank from 9.4 per cent in 2000 to 5.8 per cent in the summer of 2004. At this point Sergio Marchionne was appointed as Fiat's chief executive. By March 2009 their market share had expanded to 9.1 per cent. Fiat built their five-story Lingotto plant in 1915 through 1918, at the time it was Europe's largest car manufacturing plant. Later the Mirafiori plant was built, also in Turin. To prepare for production of the all-new Fiat 128, Fiat opened their Rivalta plant in October 1968. Until the 128 entered production, the plant was used to build sports versions of the 850 and 124 as well as parts for the Fiat Dino. Light commercial vehicles are sold in Europe under the brand Fiat Professional. Fiat was importing cars to the UK market by the outbreak of World War II in 1939 (with the two countries on opposite sides), but its market share increased rapidly during the 1970s, with the 127 supermini and 128 range of small family cars being the biggest sellers, selling largely on practicality and efficiency. Its market share increased further during the 1980s with the Fiat Uno (imported to the UK from June 1983) being the company's best seller in the UK, and its share fell sharply in the early 1990s before the arrival of the Punto in March 1994 rejuvenated the company's UK fortunes. The second generation Punto was a strong seller in the UK after its October 1999 launch, but the new modern day Fiat 500 (launched there in January 2008) has accounted for most of the company's UK sales in more recent years. The original Fiat 500 had been one of the few direct competitors for the iconic Mini during its 1960s heyday. Fiat has invested for a long time in South America, mainly in Brazil (where has been the market leader for many years) and in Argentina. They built their first Brazilian car plant in the Greater Belo Horizonte city of Betim in 1973, after having begun by building tractors there. The Brazilian range is similar to European one, with the addition of a special family which derives from a common platform (called "Project 178"): Palio Weekend, Palio Adventure, Strada. Recently a range of new models developed in Brazil has been launched: Uno, Palio, Grand Siena, Fiorino. Other European models are currently imported to Brazil: Fiat 500. Previous versions of European Doblò, Doblò Cargo. Fiat has a long history in the United States. In 1908, the Fiat Automobile Co. was established in the country and a plant in Poughkeepsie, N.Y., began producing Fiats a year later, like the Fiat 60 HP and the Fiat 16-20 HP. These luxury cars were produced long before Chrysler Corp. was formed in 1925 from older manufacturers that were acquired by Walter P. Chrysler, the founder. The New Jersey factory was closed when the U.S. entered World War I in 1917. Fiat returned to North America in the 1950s, selling the original 500, Fiat 600 Multipla, Fiat 1100, Fiat 1200, and the Fiat 1300. Models produced in those years include the Fiat 124 Sport Spider and the Fiat X1/9. Partly as a result, Fiat sales in the US fell from a high of 100,511 cars in 1975 to 14,113 in 1982. In 1983, Fiat left the United States car market with a reputation for poor quality cars in North America, mostly rust and poor reliability. In January 2009, the Fiat Group acquired a 20% stake in US automaker Chrysler LLC. The deal saw the return of the Fiat brand to North America after a 25-year absence. The first Fiat-branded model to appear was the internationally popular Fiat 500 city car. The Fiat 500 model is built at Chrysler's assembly plant in Toluca, Mexico, which currently makes also the Dodge Journey and Fiat Freemont crossovers. Fiat is also selling their commercial vehicles Fiat Ducato and Fiat Doblò in North America, rebranded as Ram ProMaster and Ram ProMaster City respectively. Fiat's presence in Chinese market is limited compared to its European, Japanese, Korean and American rivals. At the beginning of 2012, Fiat was only importing Fiat Bravo and Fiat 500 model. However, in 2012 Fiat and GAC opened a joint venture plant to produce the first Fiat vehicle specifically developed for Chinese market ever: the Fiat Viaggio, a compact car derived by another model of Fiat SpA group, the Dodge Dart (in turn derived by another Fiat Group car, the Alfa Romeo Giulietta). Fiat currently offers to Japanese consumers the 500 in both coupe and convertible bodystyles, and the Panda. Both vehicles are in compliance with Japanese Government dimension regulations affording the Japanese public to purchase a non-Japanese vehicle without having to pay an annual tax for driving a car that exceeds the regulations. Fiat is also present in the Indian market since 1948. Current presence is in joint venture with Tata Motors, although current car sales (Fiat is currently offering the Fiat Punto and Fiat Linea) are niche market and limited (approx. 20k units in 2011). The Fiat 500 (Italian: cinquecento, Italian pronunciation: [ˌtʃiŋkweˈtʃɛnto]) is a car produced by the Fiat company of Italy between 1957 and 1975, with limited production of the Fiat 500 K estate continuing until 1977. The car was designed by Dante Giacosa. Redesigned in 2007, it is currently distributed worldwide. The Fiat Panda is a city car from the Italian automotive manufacturer Fiat. Current version is the third one distributed as from 2012. The third generation Fiat supermini to bear the name Punto, codenamed Project 199, the Grande Punto was unveiled at the 2005 Frankfurt Motor Show and went on sale later that year. Styled by Giugiaro, the car is based on the Fiat/GM SCCS platform. Whilst the model shares some of its name with the previous Punto, a large number of its components are new, including a new chassis and body shell. After facelift in 2009 it was named as Punto Evo and sold as bare Punto name. The Fiat 500L enlarges, as from September 2012, the Fiat 500 family with a Mini MPV which replace the Fiat Idea. The model is produced in the new Fiat plant in Serbia. The platform is the same of the Fiat Punto. The Cronos is going to be produced in Argentina in Cordoba and is going to be in the place of Siena and Grand Siena. The new pickup will took place of Strada, but the project is on hold. The Fiat Palio is a supermini designed by Fiat as a world car, aimed at developing countries. The Palio Weekend is a small family car station wagon; an extended version of the hatchback Palio. The Fiat Grand Siena is the four-door sedan version of the second generation of the Fiat Palio, a small family car especially designed for developing countries. Fiat Automobiles, one of Europe's 10 best-selling automotive brands, has for the second year running been confirmed as having the lowest average value for CO2 emissions from vehicles sold in 2008: 133.7 g/km (137.3 g/km in 2007). This was corroborated by JATO, a provider of automotive data. Fiat started development of electric vehicles back in the mid 1970s, with the concept Fiat X1/23. More recently in 2008, Fiat showed the Phylla concept, and the Fiat Bugster concept in Brazil. Fiat joined utility companies Cemig and Itaipu to develop new electric vehicles for Brazil, with production in 2009 of the Palio Weekend Electric. Fiat launched the electric 500e in California in 2013, but no sales were planned for Europe. Fiat CEO Sergio Marchionne claimed in 2014 that each one was sold at a loss of $14,000. In 1971 the Fiat 124 Sport Spider was prepared for the World Rally Championship when Abarth became involved with its production and development and from 1972 had relative success with two wins in 1972, one in 1973 and won 1st, 2nd and 3rd in the 1974 Portuguese TAP Rally. The Fiat 131 Abarth was a very successful rally car replacing the 124. Between 1976 and 1981 the Fiat 131 won 18 World Rally Championship events, and winning the WRC three times: in 1977, 1978, and in 1980. Lancia took over the role of motorsport for the Fiat Group during the 1980s. After a long break of factory-supported entries, in 2003 a Fiat Punto S1600 won the Italian Rally Championship, and 2006 the Fiat Grande Punto S2000 won the FIA European Rally Championship, followed by three successive wins in 2009, 2010 and 2011. The FIAT initials were first used in the distinctive logo form 1901. Beginning in 1931, the company began using a single red shield without a wreath. In 1968 the "rhomboid" logo (as it was known internally) was introduced which featured the FIAT initials spelled out on four interconnected rhombuses. The rhomboid was slowly phased in during the early 1970s, although the older "laurel wreath" style FIAT badge was used to denote sporting models such as the 124 Spider, 127 Sport, X1/9 and the tuned Abarth models. A new corporate nose based on the rhomboid logo was first introduced in 1983 on the Uno, which consisted of five chrome bars inclined at an angle of 18 degrees to mirror the rhomboid, which usually appeared in reduced size at the corner of the grille. In 1999 the wreath style logo was re-introduced to commemorate the 100th anniversary of the company. Fiat launched its Motor Village flagship store concept in 2006, with its Mirafiori Motor Village in Turin, followed by London's on Wigmore Street in 2008 and Paris's on the Champs-Élysées in 2010. In 2009, BSM (the British School of Motoring) ended a 16-year relationship with Vauxhall Motors and signed a deal with Fiat UK to swap its learner vehicle from the Vauxhall Corsa to the new Fiat 500. Fiat UK will supply 14,000 cars to BSM over four years in a marketing deal. ^ "WORLD MOTOR VEHICLE PRODUCTION" (PDF). oica.net. 2010. Retrieved 13 September 2011. ^ Hussain, Aijaz (23 January 2007). "Fiat SpA reorganizes auto business, changes name to Fiat Group Automobiles". AP Worldstream. Retrieved 22 September 2009. ^ Castronovo, Valerio (2008). Il Piemonte nel processo di integrazione europea. Milan: Giuffrè Editore. p. 214. ISBN 88-14-14385-4. ^ a b c d Tommaso Ebhardt and David Rocks (30 January 2014). "Maserati Boom Signals Fiat 'Arrivederci' to Italian Past". Bloomberg. ^ "Fiat n.1 in Brasile (a maggio)" (in Italian). autoblog.it. 29 June 2007. Retrieved 9 January 2013. ^ Garcí, Enrique (29 June 2007). "Ventas Mayo 2007: Brasil" (in Spanish). Auto blog. Archived from the original on 27 February 2012. Retrieved 9 January 2013. ^ "Fiat brand recirds the lowest CO2 emissions in Europe for the fifth year running". Fiat.co.uk. 8 March 2012. Retrieved 8 March 2012. ^ Scottsdale, FIAT of. "A Brief History of Fiat and Its Century of Automaking". www.fiatusaofscottsdale.com. Retrieved 12 December 2017. ^ "Chi Siamo (italian)". fiat.it. Archived from the original on 16 January 2013. Retrieved 1 March 2013. ^ a b Georgano, p. 24 cap. ^ a b Jennings, Bob. "Fiat centenary something to crow over". drive.com.au. Retrieved 9 March 2008. ^ "Fiat, a joint-stock company that soon become famous". allaboutitaly.com. Archived from the original on 24 December 2008. Retrieved 25 January 2008. ^ "1913 Fiat Type 56". hemmings.com. Retrieved 1 March 2013. ^ "Inside the Poughkeepsie Fiat factory". hemmings.com. Retrieved 18 May 2013. ^ Kimes, Beverly Rae; Clark, Henry Austin, Jr., eds. (1985). The Standard Catalogue of American Cars 1805–1942 (2nd ed.). Krause Publications. p. 38. ISBN 978-0-87341-111-0. ^ "Case New Holland, Family history". themanufacturer.com. Archived from the original on 20 February 2009. Retrieved 12 March 2008. ^ "Fiat SpA". britannica. Retrieved 24 October 2012. ^ Shuster, Alvin (2 December 1976). "Libya Buys 10% Of Fiat Company For $415 Million". The New York Times. US. Retrieved 17 November 2018. ^ "Fiat S.p.A. approves merger plan for the formation of Fiat Chrysler Automobiles" (PDF) (Press release). Fiat S.p.A. 15 June 2014. Retrieved 26 February 2015. ^ Snavely, Brent (4 August 2014). "Merger opens new chapter for Fiat Chrysler Automobiles". USAToday. Retrieved 26 February 2015. ^ Wayland, Michael (7 October 2014). "Fiat Chrysler Automobiles merger to become official Sunday". The Detroit News. Retrieved 26 February 2015. ^ "Fiat says merger into Dutch-registered FCA effective October 12". Reuters. 7 October 2014. Retrieved 26 February 2015. ^ "Fix it again, Sergio — and then fix the rest of 'em". The Irish Times. 6 May 2009. Retrieved 25 September 2009. ^ Eyewitness Travel: Italy. DK. 2005. pp. 26–27. ISBN 1-4053-0781-1. ^ "Theme: Engines – a survey of Fiat´s 2004 and 2014 ranges". Driven To Write. 19 August 2014. Retrieved 22 June 2016. ^ "New Vehicle Registrations: Provisional Figures (ACEA Press Releases)". ACEA. 15 January 2012. Archived from the original on 25 August 2012. Retrieved 24 July 2012. ^ "Fiat: Italy's industrial giant". CAR (South Africa). Ramsay, Son & Parker (Pty) ltd. p. 65. ^ "American built Fiats". American-automobiles.com. Retrieved 22 June 2016. ^ Strohl, Daniel (8 June 2009). "Inside the Poughkeepsie Fiat factory". www.hemmings.com. Retrieved 17 September 2018. ^ "Anyone less than 30 years old probably never has seen -- or at least doesn't remember seeing -- a Fiat automobile in the flesh". bankrate.com. Retrieved 22 September 2009. ^ a b "Fiat Finito". Time. 31 January 1983. Retrieved 21 September 2009. ^ Krisher, Tom (31 January 1983). "Problems of old Chrysler linger at 'new' Chrysler, US". The Guardian. London. Retrieved 22 September 2009. ^ "Mergers: Commission approves acquisition of Chrysler by Fiat". europa.eu. Retrieved 11 June 2010. ^ "Toluca started Fiat 500s, 2011 Journeys". www.allpar.com. Retrieved 1 January 2011. ^ "Architecture - Fiat 500L, design "cab forward"". Retrieved 7 February 2012. ^ English, Andrew (19 November 2007). "Fiat's Cinquecento voted car of the year". telegraph.co.uk. London. Retrieved 15 August 2010. ^ "Fiat keeps the low-CO2 crown for second year in a row". Autoblog/FiatAutoPress release. 3 March 2009. Retrieved 5 December 2009. ^ "Fiat's electric Topolino | Auto Express News | News". Auto Express. 4 June 2008. Retrieved 27 April 2009. ^ "Fiat Bugster A Plug-In Electric Car | Other Motorsports". Auto Racing Daily. 16 November 2008. Archived from the original on 22 February 2009. Retrieved 27 April 2009. ^ "Meet the First Electric Car Produced in South America: Brazil's Fiat Palio Weekend". Treehugger. 14 July 2009. Retrieved 29 August 2014. ^ "Fiat 500e most efficient electric car in the USA". Autocar. Archived from the original on 30 October 2014. Retrieved 29 August 2014. ^ "Sergio Marchionne asks customers not to buy Fiat 500e". Auto Express. 22 May 2014. Retrieved 29 August 2014. ^ Giacosa, John Tipler ; foreword by Dante (1993). Fiat & Abarth 124 Spider & coupé. Godmanstone, England: Veloce Pub. Plc. ISBN 1-874105-09-X. ^ "Fiat Manufacturer Profile & Rally History". rallye-info.com. Retrieved 16 July 2011. ^ "Walter Röhrl". rallybase.nl. Retrieved 3 July 2007. ^ "Fiat Wins European Rally Championship". Fiat UK. Archived from the original on 11 June 2012. Retrieved 24 July 2012. ^ "Fiat Logo History". Worlds Best Logos. 3 December 2007. Retrieved 24 July 2012. ^ "Fiat opens new flagship store in West London". Motortorque. 12 March 2008. Archived from the original on 22 March 2009. Retrieved 12 December 2009. ^ "Fiats join Jeeps in Paris for first time in Fiat-owned store". Automotive Europe. 8 July 2010. Retrieved 24 July 2012. ^ Mortished, Carl (28 July 2009). "Cheeky Italian Fiat takes British out of BSM as Vauxhall is dumped". The Times. London. Retrieved 5 December 2009. Wikimedia Commons has media related to Fiat vehicles.